When news of the death of erstwhile Super Eagles forward Rashidi Yekini went viral, questions were raised among several groups as to the state of health of the late football legend during his last days. Yekini was buried in his hometown, Irra, Oyun local government in Kwara State on Friday, May 4th, 2012 after years of illness. 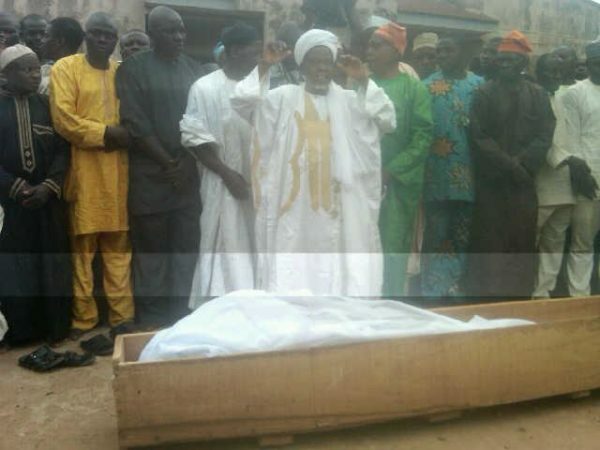 He was laid to rest on Saturday, May 5th 2012 at Ira in Kwara State, his home town, according to Islamic rites. Yekini, who won the 1993 African Footballer of the Year award gave Nigeria its first-ever World Cup goal in USA 1994. 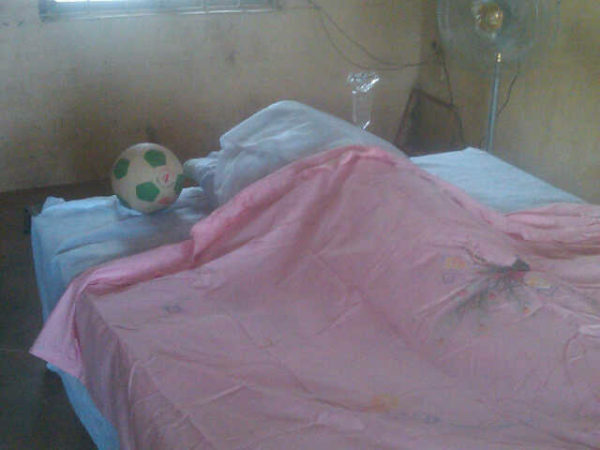 He died in a private hospital in Ibadan survived by his mother and three children. While speaking about the conditions that led to his death at his burial, Yekini’s former wife, Adeola, said that many of his friends and those who were close to the late Super Eagles star allowed his health to deteriorate without raising an alarm. She also blamed the media for prying into his personal life. Meanwhile, his mother, Alhaja Sikiratu said that her son had been battling with mental illness since the year 2010. She added that several attempts made to take care of the former Super Eagles’ striker proved abortive as the deceased claimed he was mentally sound. “We have been on the problem since 2010 and we tried our best but my son refused to be taken care of. When he came back, we asked him why he has done what he did but he replied by burning all his belongings. I lost my husband in 1978 and Rashidi has been with me since then,” she added in tears. Dimeji Lawal, a former youth international who lives in Ibadan said he knew Yekini for many years. “We all loved him but for reasons I can’t explain he did not want to socialize with people a reason I feel had effects on him on the long run,” he said. “We would have loved to help Yekini in our little way but until his last days, he wasn’t really accessible.” Mr. Lawal described Yekini as a philanthropist who did all in his power to help the course of others. After retiring from international and club football, Yekini led a low profile life in Ibadan, living in a four bedroom apartment on Ring road, away from his family who stayed in his hometown in Kwara state. Accounts from neighbours and associates paint a picture of a man who struggled with serious mental and delusional disorder after losing life savings to a bungled investment. One neigbour, who claimed to have known the ex-international well over a decade, traced the problems to a deal between Yekini and a confidant known only as Ibraheem. “He has always been a quiet person who does not want attention on him,” the neighbour, who refused to be named, said. Before his death, all his automobiles were in a state of disrepair and many times he was seen trekking in shorts in different parts of the city. Many of such outings, another former neighbour, Mukaila Babalola said, led Yekini to stalls where women sold roasted plantains(bole) on Onireke road near Multichoice office in Ibadan. But Oliseh reckoned that somehow a world cup match in which Yekini featured and was booed by fans as he was nearing retirement played a devastating role in the former striker’s end. “Yekini felt betrayed and this haunted him till his death,” Oliseh wrote. “How could one give so much and receive so little in return from your own kind?” he asked. More than that possibly haunted Yekini. Oliseh recalls the Super Eagles’ African nations’ cup triumph of 1994 in which Yekini played a key role, and winning the vital matches for Nigeria. Yekini’s lawyer and friend, Barrister Jubril Olanrewaju, said the late footballer lived alone till his death which was alien to our culture in Africa. His burial attracted a large crowd of football fans and eminent personalities. They include the Kwara State Commissioner for Information and Communication, Prince Tunji Moronfoye, who pledged government’s assisstance to his family; Osun state Commissioner for Sports, Mr Stephen Kola- Balogun who donated N1 million each to the family and children of the deceased on behalf of the State Government and the Oyo state Sports Commissioner, Dapo Lam-Adesina. The Kwara state Govt also promised N1.5million to Yekini’s family. 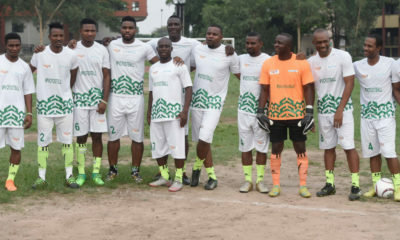 Also in attendance were some ex-internationals who played alongside Yekini – Mutiu Adepoju and Ike Shorounmu. Hope these promises will be fulfilled. Rest in peace, rashidi. When did “death” have an “L” in it? Why is it that Nigerians like to change the spelling of words all the time? Is this how you learnt to spell death in school??? Why do I have a very solid feeling that you your ” l” factor is real and that you alctually spealk like thils? Lmao. while donate money to the family now that he is dead? wonder when our people will learn when to do the right thing. my heart weeps for him.RIP great man! This is really sad. Only one player right Now can afford to pay for his treatment….but none came to his aid. Mental illness is another problem Africa needs to take seriously. In the states, it’s a major factor in most cases! May his soul rest in peace. bad government,bad country.wat a rubish. Apart from the Mental illness, what else might have caused him to die? Could it have been treated? I believe he died from depression and not mental illness.Nigerians have to be aware of the silent killer “depression”…..it has resulted to so many untimely death than one can imagine. RIP Yekini. BN: “…died in his hometown, Irra, Oyun local government in Kwara State… He died in a private hospital in Ibadan (Oyo state).” That’s inconsistent. I agree with you – I also noticed the error. So then where did he die? Or did he die in both places? Anyway it is so sad that the young man is late. May his soul rest in peace. I wept………. !What a great hero is RASHEED YEKINN? un un ADIU.This country nawao shameless Gov.& is people, when he was alive, no recogntn from Fd gov. & St gov. Now his gone they are donating & mourning him. His spirit will ask our leaders wat they‘ve done 4 him 4 his contributions for dis country. (ljo aba ku ladere)sunre o adiu. RIP Rasheed Yekini.But this is a great lesson for all to learn from,we should never let the sweet praises or bitter condemnation of men be the source of our joy.We should make up our minds to be the source of our own joy,we should stay joyful no matter what we face,see,hear or feel. May his soul rest in peace, and the Almighty Allah console the mother and children left behind. Is the same people that killed him that are singing praises of him, after all they did to him during World Cup. Rasheed rest in peace. Which is it? He died in Irra or Ibadan? Proofread your article before posting please! Rest in Peace Rashidi Yekini! Fare thee well! RIP Rashidi Yekini! So painful. temitope i like your comment…may his soul rest! Few things are worse than mental torture in this life. I hate to imagine all that he suffered. It’s bad enough that he was swindled by a trusted business partner and on top of that under-appreciated by his country and government. I have however learned from all of this never to suffer in silence or live the lonely life of a recluse. Sad indeed. 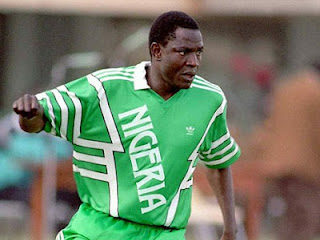 Rashidi Yekini – who if nothing else representd Nigeria at its most competitive best. 1 – Yekini regularly jugged at the stadium in the mornings to keep fit – sometimes alone and sometimes with other athlethes especially fottball club athlethes. 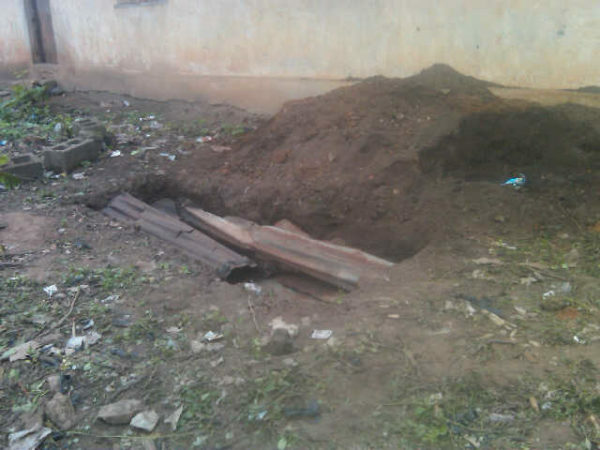 2 – Although he sacked his security several months ago he was still fit enough to open the gate of his property, drive out his car and lock the gate again. Fit enough to reply back to those who proferred greetings or hailed him. Fit enough to drive. 3 – Yekini was known to be very generous and regularly gave out money to people. Reports about that he gave stuffed envelopes to the poor that lives aroundhim or in his proximity. 4 – Yekeni was a quiet man who craved solitude especially from his family. 5 – Reported that his family members who knew he would not open the gate to them as they knocked on it – hung around his neighbourhood awaiting his opening the gate. On Yekini’s regular ritual of opening the gate before proceeding to drive though his family members accosted him, chained him, and took him away. As he was led away Yekini was heard shouting to his neighbours not to let his family take him away. Neighbours say that was the last they saw of Yekini alive. SO THE QUESTION IS – WHAT DID HIS FAMILY DO TO HIM WHEN THEY TOOK HIM AWAY? This ex-wife (mother to his daughter) was married to the man but apparently came back seperately from her husband (after the honeymoon) and on his return he threw her out of the matrimonial home. Yes things happen between couples but before anyone believes the diatribe now spewed forth from his ex-wife and family care must be taken to read between the lines of their sobs and rehearsed lamentations. Nigeria has lost somebody great. Yekini Should be remembered not as a mad man or mental patient but as a hero. Misunderstood because of his great love for his own company and solitude – but MAD NO! I URGE PEOPLE ON THIS FORUM NOT TO DIGEST THE NEWS OF HIS MENTAL STATE BEING QUESTIONABLE. IT IS NOT A SIN TO PREFER YOU COMPANY OR KEEP TO YOURSELF. 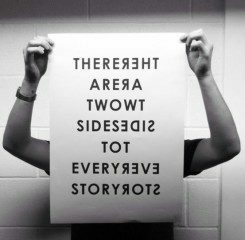 GOD KNOWS I SPEAK FROM EXPERIENCE AS A PERSON WHO HURT HAS CAUSED TO KEEP TO HERSELF! Adieu Yekini- REST IN PEACE NOW WITH NO FAMILY MEMBERS TO CART YOU OFF AGAINSE YOUR WISHES! I am not proud to be a Nigerian, our country is so useless. How can a hero be treated like this …Nigeria, you are shameless country, I hate you! What does it matter where he died? Point is the Legend is gone! And in such an undignified way. The ‘tales’ from ex-wife o, mum o, and Oliseh all bring to mind Tolu Ogunlesi’s article on Ynaija -Connecting the dot-. We see the signs, but ignore them, and when the milk has been spilled, suddenly everyone is an analyst and wanna-be-solution-provider. Mscheew. RIP Rashidi. You gave me (as a little girl) fond memories of Super Eagles. What is hidden to man is opened to GOD ALHIGHTY. Rasheed Yeking death posed so many queestion that only the deceased alone can answer. One wish the dead can talk, but… All the promises and crocodile tears humnmnmnmn…Rest in Peace Rashidi…. Its so so sad. I cant just believe YEKING is gone and gone forever. Its time for our government to have change of attitude to Nationals who have served the Nation relentlessly in the past in other to encourage the younger once. would never understand. It sort of feels too complex and very huge for me. I’m having a look forward on your subsequent post, I will attempt to get the dangle of it! Well, to God be the glory, it is better he die rather than being mad has claimed, death is bether than a painfull shame “an hero tied in chain” hum you all blame govt all the time, why wasting time in doing this , it is govt. custom. Why were the promises of just last year by our president? is it too late or soon to be forgotten or are we not witnessing other strange things from them now? Rasheed RIP. Baba na baba,d goals father ,d goals merchant.Rashidi was,is d best top striker dis nation ‘ll ever be blessed wit 4 a long time to come,may his soul rest in perfect peace. I do not blame govt for Yekini’s death. Friends and relatives failed when Yekini needed help most. Becoming a recluse and soloquising could be symptoms of mental ill-health. The family ought to have attended to him much earlier. Now its too late to trade blames. rest in peace Yekini, a great hero that can never be forgotten by all football lovers in Nigeria. you brought lots of happiness to our heart in your playing days for the country. people have said a lot but God knows best. Rest in peace my brother . may ur soul R I P..Rashidi yekini….9ja football legent…..
Look at the N200 ball placed beside the legendary Rashidi Yekini, the man who took us to our first and best World Cup ever, even scoring our first world cup goal, this is a disgrace to Nigeria Football Federation, bunch of thieves and illiterates, too bad! Naija we hail thee! Rest in Peace, Rashidi Yekini, you’re always on our mind! What an hero, you’ll be remembered for your great sacrifice you offered to Nigerian sport, and to the people who knew you so well. I wish the Nigerian govt, and other footballers collegues contributed to fly you abroad for some treatments, perhaps you could still be alive, well you are resting peacefully than you ever did when this problem started. May your soul rest in perfect peace Amen. Shame on Nigerian government, shame on you.